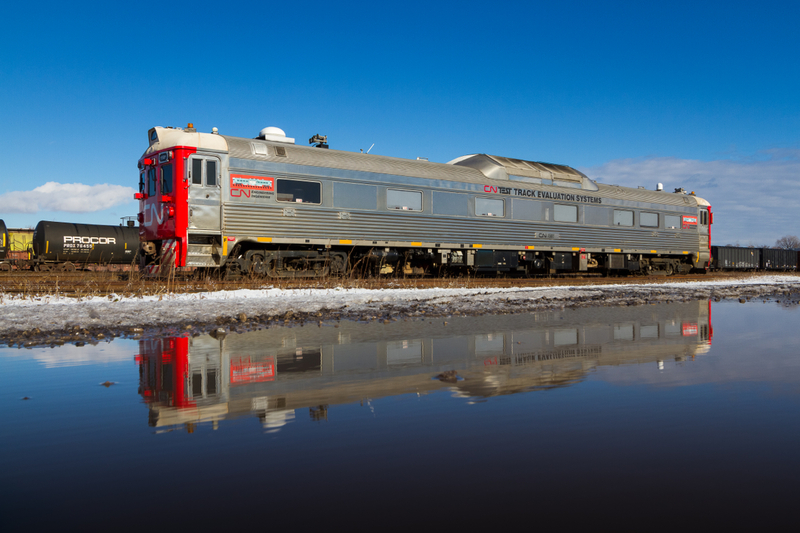 Railpictures.ca - Ryan Gaynor Photo: Lookin’ Good Budd. Built in 1958, this venerable Budd RDC1 has finished its work for the day and rests at Stuart Street Yard in Hamilton. The reflection was made possible due to some wet snow that fell overnight and accentuated with a wide lens. | Railpictures.ca – Canadian Railway Photography – photographie ferroviaire Canadienne. Caption: Lookin' Good Budd. Built in 1958, this venerable Budd RDC1 has finished its work for the day and rests at Stuart Street Yard in Hamilton. The reflection was made possible due to some wet snow that fell overnight and accentuated with a wide lens. I know I said it already, but great job Gaynor!